Buoyed by hit single ‘Loser,’ Beck’s Mellow Gold became an unexpected Platinum-selling success, but it was his next album — 1996’s Odelay — that really put him on the map. 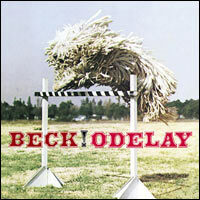 Odelay is one of those albums that come along every five or ten years and receive credit for transforming the musical landscape. But I don’t think you can point to a string of artists who picked up the mantle the way you can with Nirvana’s Nevermind or Radiohead’s The Bends… not artists anybody has heard of, anyway. Beck’s fusion of folk, hip-hop, blues, country, you-name-it, felt brand new and defied imitation.